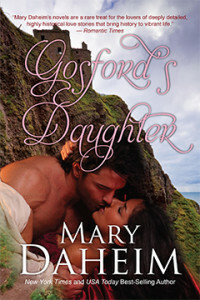 5 Stars: “This is the kind of historical romance novel I cut my teeth on, so to speak. Epic love stories that enraged the reader at times by bringing a couple together, having them fall in love, separate them by circumstances, bring them back together again, but just as they become so close to finally realizing their passion, they are ripped apart once more. I love that stuff!! I also love mystery and intrigue and this book is chock of that as well, and to put the cherry on the cake the descriptive details of the Scottish Highlands creates an atmosphere second to none for romance…. While many historical romance novels written in the eighties and nineties often rub the modern reader the wrong way and are absolutely politically incorrect by today’s standards, this book, didn’t have a dated feel to it at all and I felt the author created a strong female lead who moved within the strictures of the time period with boldness and courage, and was a character to be proud of.” Read more…. “Daheim’s prose is engaging, and her novel has all the best ingredients of a well-researched historical romance, including some steamy love scenes. It wasn’t difficult to immerse myself in this fast-paced story. Lovely imagery of Scotland is expertly rendered, along with solidly believable characters (including many familiar real-life figures). Sorcha’s narrative is carefully interwoven with factual historic detail. The elusive Gavin did, at times, have a magician’s knack for appearing just when needed, and was a bit long-suffering for my tastes, but that never spoiled my enjoyment of this very satisfying historical romance.” Read more…. “Sorcha’s character was likable, and as a reader I definitely was rooting for her happiness the entire time, which is important to me. I also was a huge fan of this book, because it takes place during a time that I find completely fascinating. The time period when the Tudors and Queen Mary were alive is so interesting to me, and I read every book I can get my hands on about their lives. Overall I thought this was a great book, and I enjoyed reading it from start to finish.” Read more …. Guiding Thisbe among the pine trees, Sorcha paused to gaze at the wooded isles that stood like primeval ships in the broad, brown Ness. It was a view she had loved since childhood, with the rippling waters, the heavy scent of pine, the backdrop of blue hills marching like a giant staircase to the distant mountaintops, where the snow never quite disappeared, even under the hottest summer sun. A sudden movement nearby made Thisbe tense. Sorcha turned in the saddle to see a six-point stag standing aloof in motionless splendor. She knew the stag well. Two years earlier, her father and Magnus had determined to see which of them would bag the magnificent animal. But he had evaded them both, in a taunting, cunning match of human and animal wit. In deference to his victory, the Fraser menfolk had vowed never to kill the stag they had come to call the Master of Ness. Strangely enough, the animal had seemed to sense their concession and had boldly appeared before them at least a half dozen times the previous autumn. Sorcha lifted her head to touch her cap in salute as Thisbe’s ears twitched in apparent awe. The stag turned slightly, antlers tipped back like a primitive diadem. Sorcha was still smiling with admiration when the arrow soared through the pine trees and found its mark. It seemed as if at least a full minute passed before the stag’s long legs buckled and he crashed onto the peaty ground. Horrified, Sorcha screamed and Thisbe reared up. Instinct alone saved her from being thrown as she clung to the mare’s neck and uttered a sharp command. Sorcha leapt from the saddle, running to the stag, which was already in the last stage of its death throes. It was useless to remove the arrow; it had gone straight to the heart. Sorcha was too angry to cry, too outraged to be surprised by the tall, imposing figure that emerged from the pine trees carrying a huge bow in one hand and a dirk in the other. The man looked more bemused than concerned. “Strange, it looks like a stag to me.” He bent down to make sure the animal was dead, then sheathed his dirk. “Was he your pet?” The dark eyes were the color of the river itself, unrevealing and every bit as deep, set in a long face that struck Sorcha as wolflike. His skin was dark, too, and the wavy hair was brown as a bog. The short-cropped beard and mustache made him seem older than he probably was. Not yet thirty, Sorcha gauged, and realized she was staring. “I’m Sorcha Fraser of Gosford’s End.” She paused, waiting for the usual acknowledgment of her family’s prestige. But Napier said nothing; he just continued to gaze at her from those deep, dark brown eyes. She shifted her weight from one foot to the other, wondering if Gavin Napier lived close by. But most of their clan came from much farther south, near Loch Lomond. “You are with a hunting party?” Sorcha inquired as the rain began to pelt down in stinging drops. “Of sorts.” He turned away, and she noticed that his profile was strongly etched, from the high forehead to the long nose, which had apparently been broken more than once, to the wide mouth with its slightly elongated lower lip. It was not a handsome face, Sorcha decided; it was too rough-hewn, too uneven. And definitely wolflike. But for some reason, she could not take her eyes from him. “Oh!” Sorcha clapped her hands to her cheeks. “No! No, not this one!” The mere idea shocked her. Yet she wanted Gavin Napier to know that she had not only watched but gutted many a stag in her time. It seemed vitally important that he should not mistake her for a fatuous, squeamish child. “Then turn the other way or head on home.” He had knelt down once more and was rolling the stag over onto its back. Napier moved with practiced assurance, reminding Sorcha of the poachers her father often winked at when he caught them on Fraser property. Napier obviously was no local poacher, but there was the aura of the hunter about him. The rain was beginning to pierce the thick fabric of her woolen skirt. Sorcha was suddenly tempted to take Thisbe and flee to the manor house. But sheer willpower and a determination to prove herself forced a different decision. Steeling herself to watch Napier’s every movement, Sorcha pried the legs as far apart as she could. The dirk plunged, and a torrent of blood spurted out over the animal’s tawny belly. Sorcha choked and was afraid she was going to be ill. To distract herself, she tried to think of Niall and how she’d responded to his kisses and the touch of his hands on her breasts. Somehow, those images were almost as jarring as the carnage taking place just under her nose. Napier worked swiftly. Not more than five minutes had elapsed before the heart, organs, and entrails lay on the peaty, rain-soaked ground. The downpour was washing the blood away, allowing it to merge back into the earth, as nature claimed nature. She was about to ask where he was taking the stag when three riders appeared downriver. As Napier called out to them, Sorcha could see that they were all dressed alike. As they drew closer, she realized why: They were monks, wearing their white robes under riding capes, with hoods covering their tonsures to protect them from the rain. She recognized one of them, an elderly brother named Joseph from Beauly Priory. “The Lord be with you,” Brother Joseph said in greeting. Sorcha curtsied and replied in kind. “Ah, we’ll feast well this night,” he exclaimed, his faded blue eyes fixed on the stag. She did not and went through an introduction to the two younger monks while Napier secured the stag and mounted his gray stallion. The rain was already letting up, driven southward by a brisk wind that moaned through the pine trees and ruffled the river’s steady passage. His voice was light, but Sorcha detected an undercurrent of irony. Had the monks not been with them, she would have given Napier a sharp retort. Instead, she found herself uncharacteristically silent. Sorcha’s jaw dropped. Now she could not possibly keep from staring at Gavin Napier. Sure enough, sitting astride his horse with the long black cloak blowing in the wind, she could see that he wore the garb of a priest. He was looking just beyond her, toward the drooping bracken near the water’s edge. Despite his lack of expression, was he inwardly laughing at her? Sorcha wasn’t sure, nor did she remember if she bade them farewell. The only image that lingered was Gavin Napier, guiding his gray stallion back into the pine forest with the Master of Ness dragging behind over the rich, rain-soaked ground.